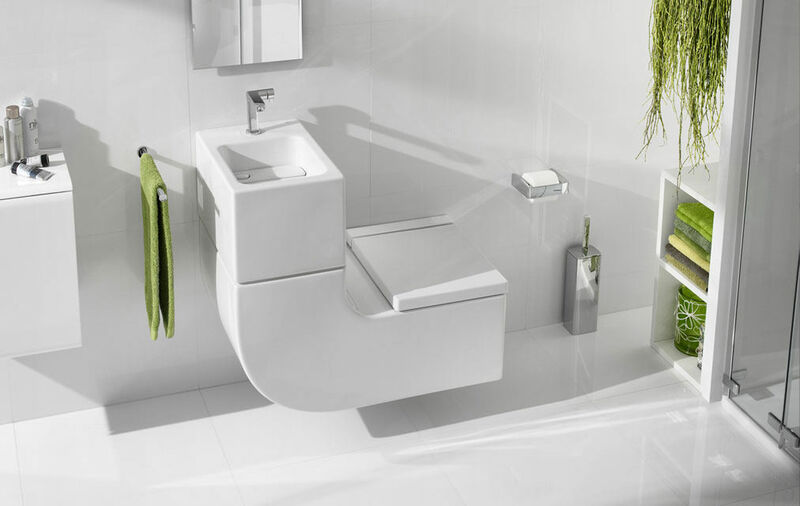 Give your bathroom a stylish makeover by bringing home this designer WC and Basin from the contemporary W+W range of Roca. 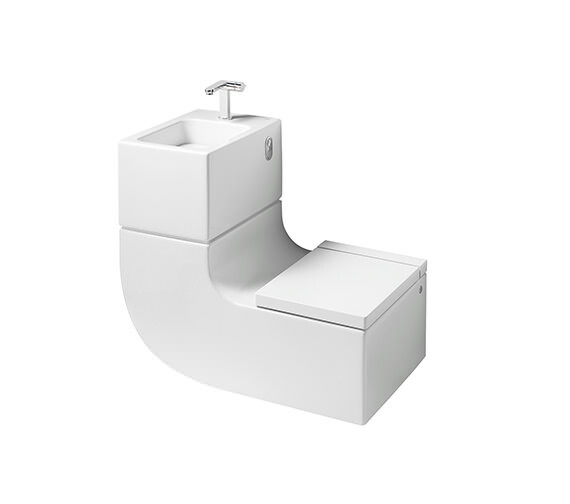 This unit is beautifully designed by Gabrielle and Oscar Buratti. 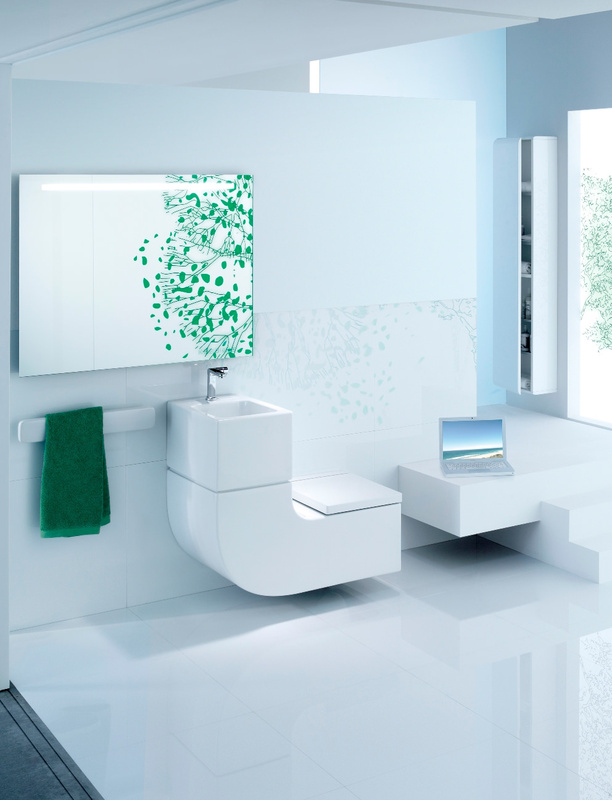 It features water reuse technology which filters the water from the basin and reuses it to flush the WC. 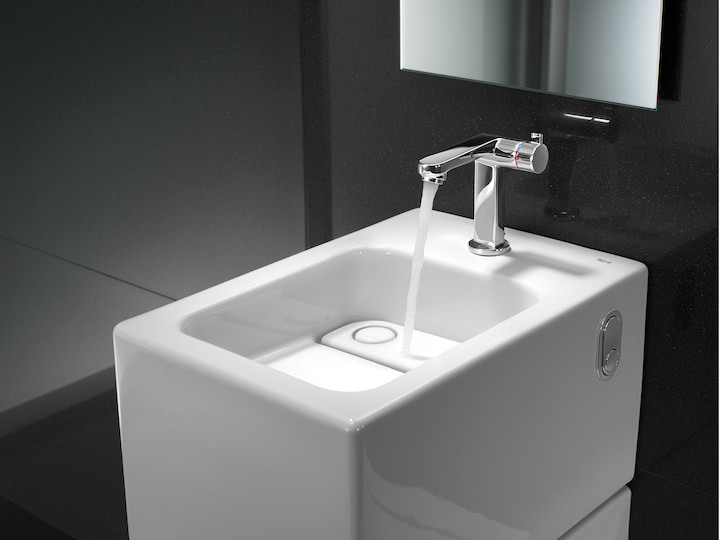 The pristine white finish will impart appeal to your bathroom décor. 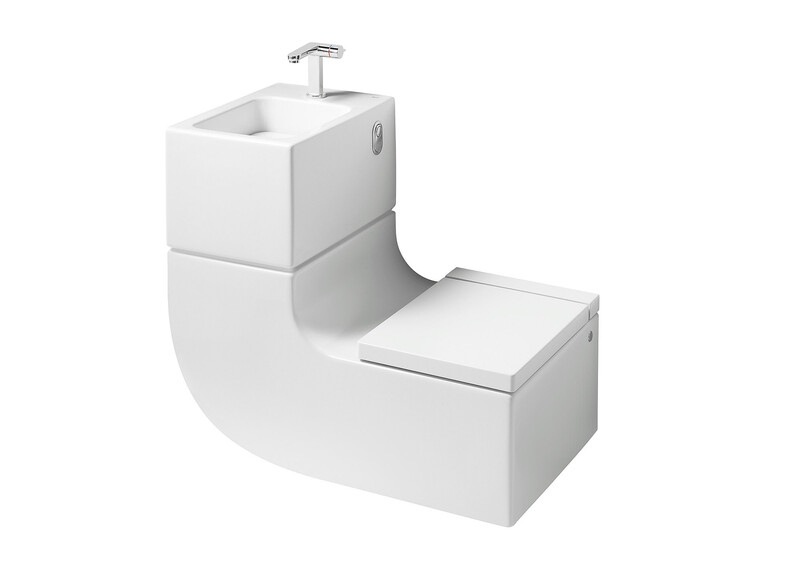 This unit is recommended for public places. 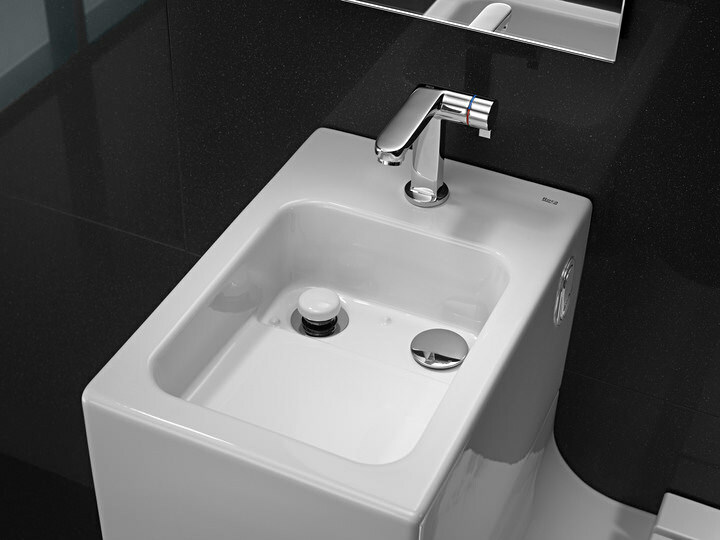 The manufacturer provides a full 25-year guarantee on this unit against any manufacturing defects. Installation manual and videos provided in the technical tab section. 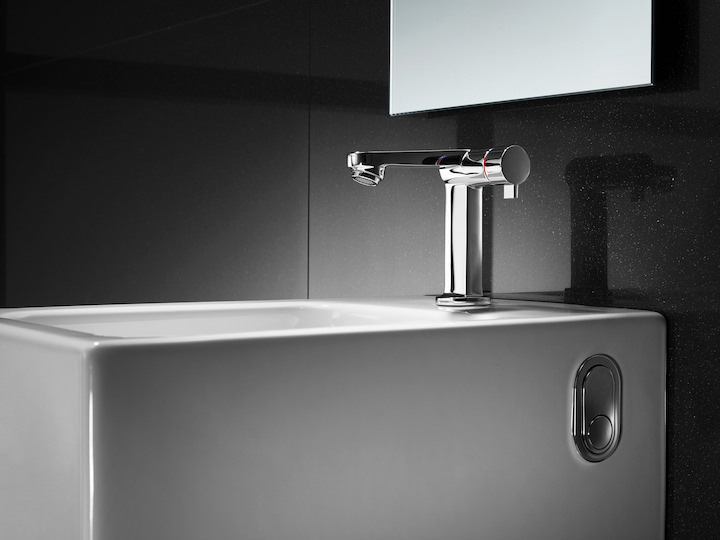 Please can you tell me what stops the cistern overflowing if the taps are left on and the drain is in the “cistern fill” position /setting. 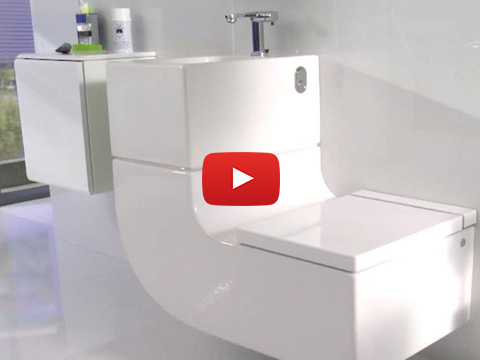 Is there a cistern overflow safety mechanism? Many thanks. Does the Roca W+W come complete with frame for wall hanging or is this separate? Do you sell the wall bracket only and how much that would be? Thanks for your enquiry, you can get the basin frames here http://www.qssupplies.co.uk/Bathrooms/Bathrooms/Basin-Support/Product/498.htm. Price would depend on your selection as it varies in sizes and quality. 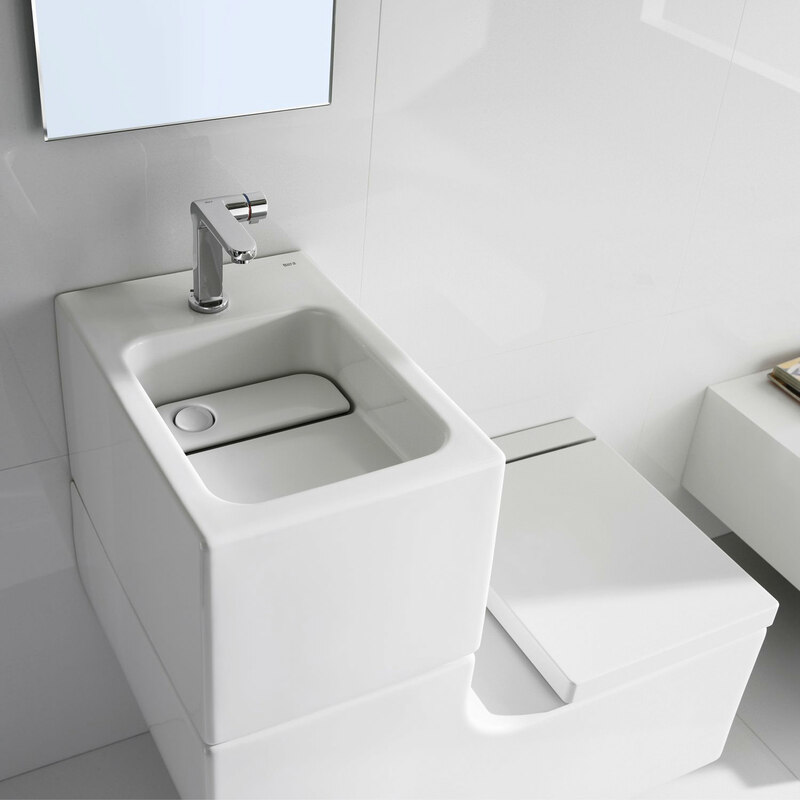 The amount of space needed in front of the W+W is equal to what you would allow for any other WC or Basin. 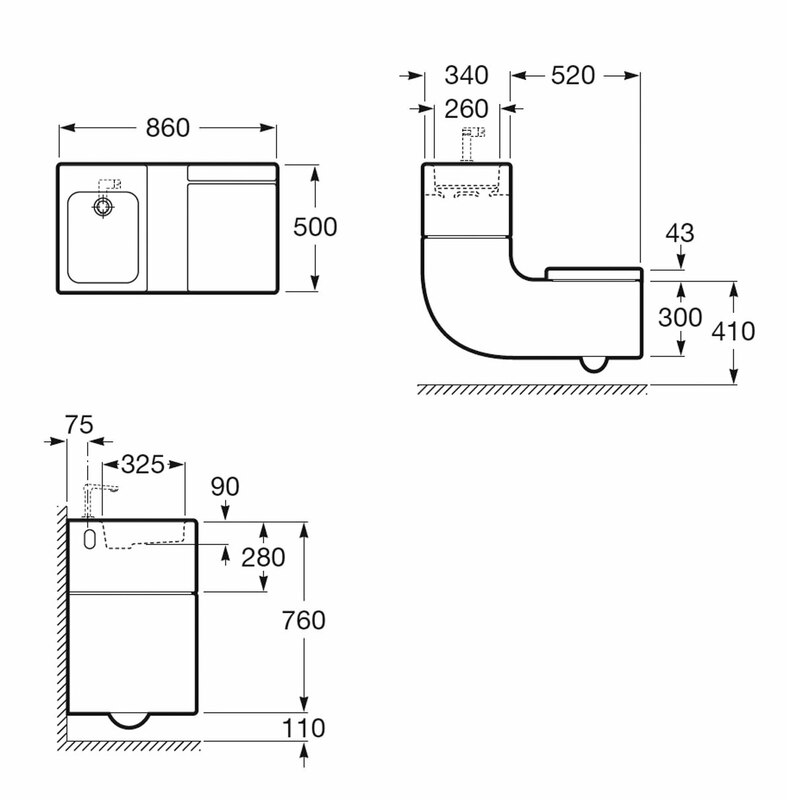 Please refer technical drawing for more technical details.